Home » Celebrity Families Walk The Red Carpet For The Puss in Boots Premiere! 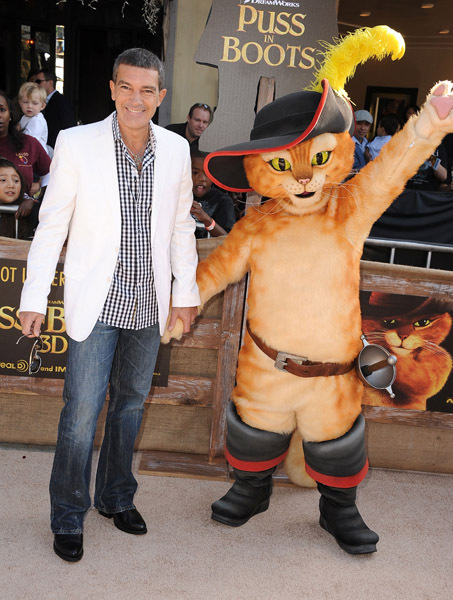 The hot ticket in LA yesterday was the premiere of Dreamwork Animation’s “Puss in Boots,” the animated spin-off of the studio’s popular “Shrek” franchise. Held at the Rengency Westwood Theatre, celebs and their families walked the red-carpet, which was actually a tan “litter box” carpet.